Welcome to Greeley, where our courthouse is on the Nebraska Historical Building Registry. The beautiful Veteran Memorial wall, dedicated in 2003, has been placed in front of the Greeley Co. Courthouse. This quiet community is located at the junction of U.S. Hwy 281 and Neb. Hwy 56, just 25 miles north of St. Paul, Nebr. Greeley is centrally located among many recreational areas, including the Calamus Reservoir, Davis Creek and the Cedar River. The Greeley area is also rich with many historic buildings, artifacts and beautiful scenery. 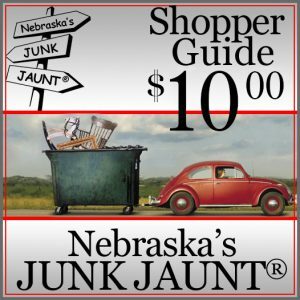 Hope to see you in Greeley during the JUNK JAUNT®.